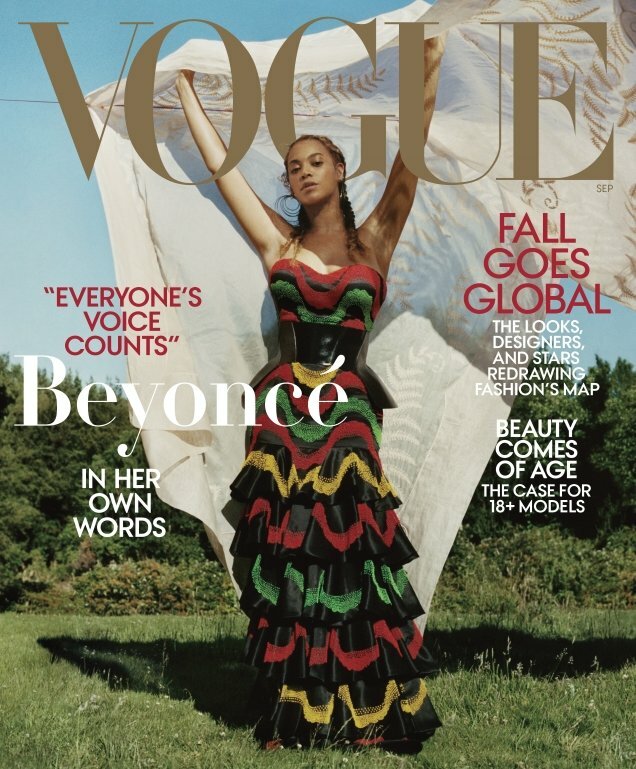 The be-all-end-all of September issues just dropped and our forums have been proven right once again: as predicted, Beyoncé is American Vogue‘s latest cover star. The last time Queen Bey took to the cover of the magazine was September 2015, following two prior cover appearances. Beyoncé’s latest is going down in history, marking the first time an African American photographer was handpicked to capture the fashion bible’s cover. Tyler Mitchell, a young and rising photographer whose career is surely about to skyrocket, captured Beyoncé on location in England with Tonne Goodman on styling duties. 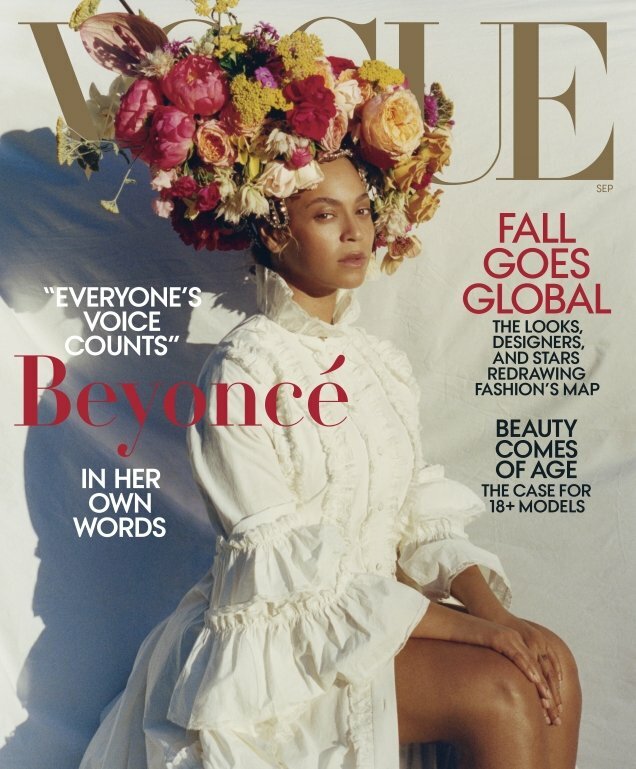 Just like Rihanna on British Vogue, Beyoncé sports a floral headpiece and a white Gucci dress in the first cover (below), while wearing Alexander McQueen in the alternative second cover (after the jump). Will our forum members be making a dash for the newsstand? “Wow, I expected to hate it but the first cover is amazing! !” confessed Lalipatty the moment the covers struck. “Well, this is absolutely stellar work. I love both covers, but the first is truly breathtaking,” added happycanadian. “No gray background and minimal makeup! She looks amazing,” CommanderTMugler admired. “OK, that’s stunning! Giving me Formation music video vibes. Not a new look for Beyoncé, but I dig it,” MON voiced. “It really is something different than usual,” Srdjan wrote. Yet the covers weren’t completely to everyone’s taste. “Nope. Don’t like them at all,” said mikel. Marc10 wasn’t feeling it either. “Her facial expression ruins the first cover, she looks like she had just woken up and was not in a good mood,” he pointed out. See more from the cover shoot and join the conversation here.